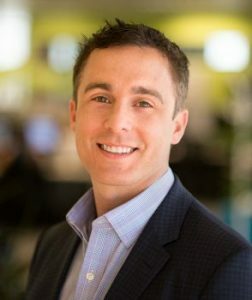 Quotient Promotes Two Senior Executives, Strengthening Leadership in Brands, Retail and Media - Quotient Technology Inc.
Quotient is pleased to announce that two of its senior leaders – Chad Summe and Jason Young — have been promoted, part of an effort to strengthen our ability to deliver on the future of CPG and retailer marketing. Both Chad and Jason are now officers of the company: Chad becomes Chief Operating Officer, and Jason becomes Chief Marketing & Media Officer. 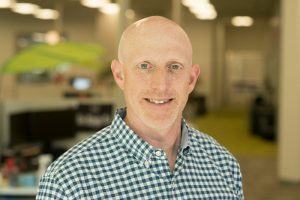 As the COO, Chad is responsible for our operations, revenue and go-to-market strategies with CPGs and retailers. Chad, who joined Quotient in 2012, was most recently Senior Vice President and General Manager of Brands and Retail, leading all sales functions and overseeing brand and retail partnerships. Beyond his significant contributions driving our company’s revenue growth, Chad has also been instrumental in leading our company’s expansion in Cincinnati, where we now have over 200 employees. Chad’s started his career in the Navy as a submarine officer (AKA nuclear engineer) on the USS Topeka (SSN 754) in San Diego, CA., for the U.S. Navy’s Submarine Force. After five years, he moved to corporate America to work for Procter & Gamble (P&G). During his tenure, he led strategy and brand marketing in the company’s Baby Care Division, working on Pampers (P&G’s biggest global brand) and Luvs. On Pampers, Chad helped drive market strategy across North America, Europe and Asia; qualifying global consumer insights from moms impacted everything the brand did, from product to shelf. For Luvs, Chad led significant product and brand innovation, helping relaunch the brand, which resulted in significant sales and market share growth. His award-winning ‘First Kid, Second Kid’ marketing campaign (still running today) helped Luvs become one of the fastest growing P&G brands in North America. Chad graduated from the U.S. Naval Academy with a B.S. in Economics (with Honors), and holds an MBA from Duke University’s Fuqua School of Business. He serves on the boards of the Cincinnati/Northern Kentucky International Airport, CincyTech and the University of Cincinnati’s Economics Center. Jason Young, based in our New York office, is now our Chief Marketing & Media Officer and is responsible for overseeing media, including media-related data strategy, product and engineering. He is also responsible for marketing strategy and execution for Quotient across all B2B and consumer initiatives. Since 2017, Jason was our Senior Vice President of Media and General Manager of our mobile advertising business, Crisp Mobile, which Quotient acquired in 2017 and where he was CEO. Jason is an industry expert with more than two decades in digital advertising. He spent 20 years at Ziff Davis, a leading global digital media company; it now operates brands such as PCMag.com, IGN.com and Everydayhealth.com. Involved in the initial years of the digital advertising marketplace, Jason was part of the executive team that led Ziff Davis from a print-based business model to a pure play digital position. He served as President of Ziff Davis Internet and then as CEO. During his tenure at Ziff Davis, he sat on the boards of multiple media industry trade groups, such as the American Business Media Association and the Magazine Publisher Association and was honored as Media Insider Newsletter’s Digital Sales Executive of The Year. After Ziff Davis was sold in 2010, Jason co-founded Smart Device Media, a premium mobile ad network, which was acquired by Crisp Mobile in 2011. Jason graduated from Tufts University with a B.A. in English. He has served as a board member of media companies, including Summit Business Media, now ALM, as well as an advisor to many early-stage digital ventures.